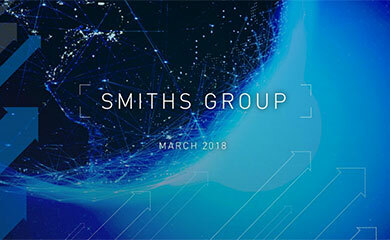 Smiths Group plc (“Smiths Group” or the “Group”) today announces that it has entered into an agreement to acquire Morpho Detection (“Morpho Detection” or the “Business”), a California-based detection and security solutions company, from Safran S.A. (“Safran”) for an enterprise value of $710 million (£493 million1) (the “Acquisition”). The closing of the Acquisition is subject to customary conditions, including regulatory approvals. Upon closing, Morpho Detection will be merged with Smiths Group’s Detection division. 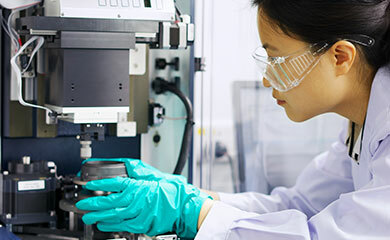 Smiths Detection is a world leader in products and services that detect a wide range of threats, including explosive, chemical and radioactive materials, and contraband. Morpho Detection manufactures and supplies detection systems and services to improve mission-critical security at airports, borders and other high-risk critical infrastructure sites such as nuclear power plants, military installations and government buildings. It also provides extensive services to maintain and upgrade its broad installed base of equipment and related products. It is planned that the current product and service offerings of both businesses will be supported post-completion. Morpho Detection had total revenues of $320 million in 2015 with an operating margin of 18%, with aftermarket services including software representing more than half of total revenues. “The threat environment for people and critical infrastructure around the world is constantly evolving and becoming more complex and sophisticated. The response, to keep people safe and the world running, demands cutting-edge technology and cost-efficient solutions. Morpho Detection’s primary focus is the sale of Computed Tomography Explosive Detection Systems (“EDS”) for checked baggage and Explosive Trace Detection (“Trace”) equipment to airports, government agencies and critical infrastructure customers, with its technology in use in 175 countries. The Business also provides services to improve, maintain and extend the life of its installed base of equipment and other manufacturers’ products. In addition, Morpho Detection has developed proprietary software that increases operational efficiency and provides networking solutions to address customer requirements. Morpho Detection’s products are certified by the US Transportation Security Administration (“TSA”), the Canadian Air Transport Security Authority, the European Civil Aviation Conference, the Civil Aviation Administration of China and various other regulatory bodies worldwide. Morpho Detection has strong, well established relationships with key customers including the TSA and numerous international airports including Heathrow. 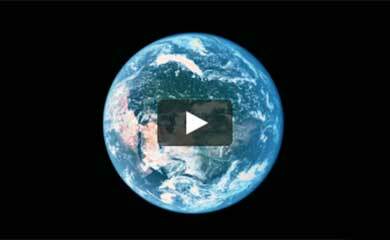 Headquartered in Newark, California, Morpho Detection currently has 860 employees globally. For the year ended 31 December 2015, Morpho Detection had revenue of $320 million, EBITDA of $70 million and operating profit of $56 million (18% margin). At 31 December 2015, Morpho Detection had gross assets of $699 million. Completion of the Acquisition is expected to take place in early 2017 and is conditional upon regulatory clearances in the US, Europe and certain other territories, as well as other customary closing conditions. In the event that regulatory clearances are not obtained on terms that are satisfactory to Smiths Group, and subject to limited exceptions, Smiths Group can terminate the acquisition agreement and, in this case, will be required to pay a termination fee of $40 million (£28 million) to Safran. Andy Reynolds Smith and Chris O’Shea, Chief Financial Officer, will hold an analyst and investor call at 08:30 this morning to discuss this announcement. A copy of the presentation slides will be available at http://www.smiths.com/presentations. 1. An exchange rate of £1.00:$1.44 has been used throughout this press release. 2. The transaction is expected to generate a tax step-up for Smiths Group amounting to a net present value of circa $110m, based on a 9% discount rate over 15 years. 3. The gross consideration payable of $723.7 million will include $13.7 million of acquired net cash (representing an EV of $710 million), and will be subject to customary adjustments for a locked box transaction.